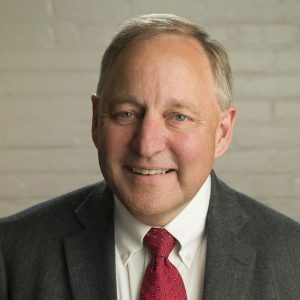 Gerald “Jerry” Reger, C.P.A., is the Chief Finance Officer and Chief Administrative Officer of the Community Foundation. In this role, he oversees finance, accounting, investments and operations. Jerry is responsible for strategic financial management, asset management, risk assessment, business process management, facilities, IT and talent recruitment management. He works closely with the Board of Directors and its Finance and Investment Committees to implement their fiscal policies. With more than 30 years of experience in public accounting, Jerry joined the Community Foundation in 2013. Previously, he was a Partner at Dopkins and Company, LLP, a Buffalo-based accounting firm where he led their Not-For-Profit Industry Service Group. In that role Jerry provided audit, tax and consulting services to primarily nonprofit and health and human services agencies. Jerry received his B.S. degree in Business Administration with concentrations in Accounting and Finance from the State University of New York at Buffalo. He is a member of the American Institute of Certified Public Accountants (AICPA), the New York State Society of Certified Public Accountants (NYSSCPA) and is a member of the NYSSCPA’s Buffalo Chapter Not-For-Profit Committee.